Severely reduced left ventricular (LV) ejection fraction (EF) derived from 2D echocardiographic (2DE) images is associated with increased mortality and used to guide therapeutic choices. Global longitudinal strain (GLS) is more sensitive than LVEF to detect abnormal LV function, and accordingly may help identify patients with mildly-to-moderately reduced LVEF who are at a similarly high cardiovascular (CV) risk. We hypothesized that 3D echocardiographic (3DE) measurements of EF and GLS, which are more reliable and reproducible, may have even better predictive value than the 2DE indices, and compared their ability to identify such patients. 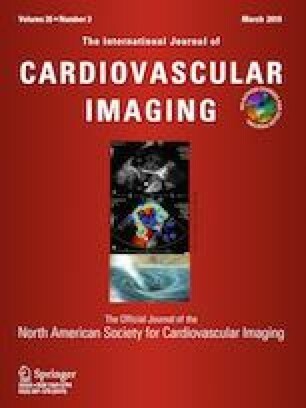 We retrospectively studied 104 inpatients with 2DE-derived LVEF of 30–50% who underwent transthoracic echocardiography during 2006–2010 period, had good quality images, and were followed-up through 2016. Both 2DE and 3DE images were analyzed to measure LVEF and GLS. Kaplan–Meier survival curves were generated for two subgroups defined by the median of each parameter as the cutoff. Of the 104 patients, 32 died of CV related causes. Cox regression revealed that 3D GLS was the only variable associated with CV mortality. Kaplan–Meier curves showed that 2D LVEF, 2D GLS and 3D EF were unable to differentiate patients at higher CV mortality risk, but 3D GLS was the only parameter to do so. Because 3D GLS is able to identify patients with mildly-to-moderately reduced LVEF who are at higher CV mortality risk, its incorporation into clinical decisions may improve survival of those who would benefit from therapeutic interventions not indicated according to the current guidelines. AN was supported by funding from the NIH T32 Training Grant (#(5T32HL7381). The remaining authors have no relevant financial disclosures or conflicts of interest. The study was approved by the Institutional Review Board with a waiver of consent.